Does a Leaked Image of Red Dead Redemption 2 Steelbook Seemingly Confirm the Two-Disc Rumor? Red Dead Redemption 2 is almost upon us, and more information about it is coming to light. A leaked image from Reddit supposedly shows the game’s Steelbook case. The inside of the case has two disc holders, seemingly confirming the rumor that Red Dead Redemption 2 will ship with two Blu-Ray discs. Rockstar hasn’t confirmed the validity of this Steelbook image and has yet to comment on the two-disc rumor either, so be sure to take things with a grain of salt. However, if it is true, the art on the inside may contain a spoiler for the game’s story, so be warned before you look. 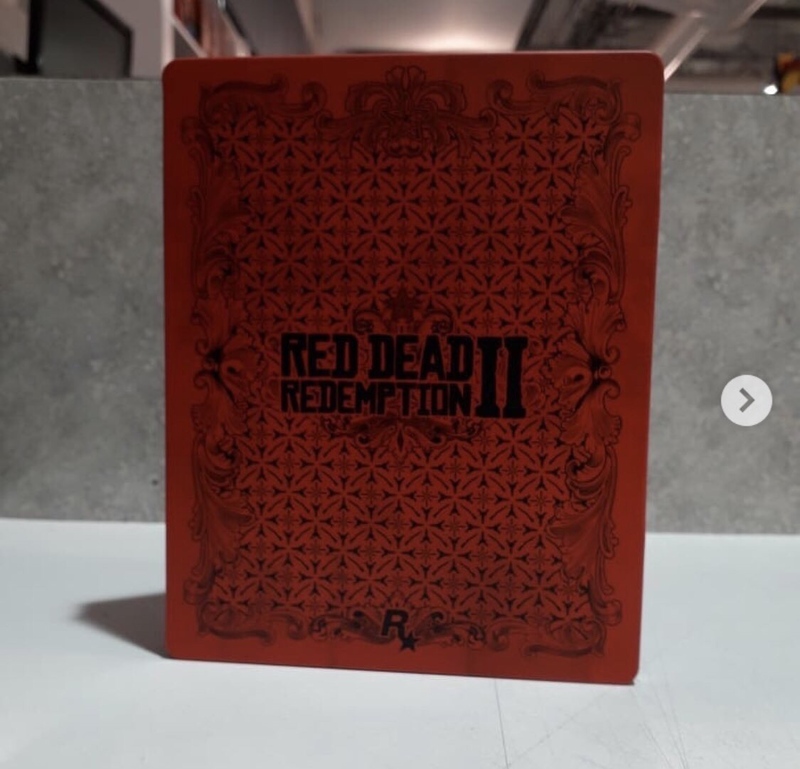 The Red Dead Redemption 2 Steelbook case is exclusive to the Ultimate Edition, which itself is exclusive to GameStop. Besides the Steelbook, it also comes with exclusive horses, outfits, weapons, and more. It’s one of many of special editions for Rockstar’s upcoming Western. While it has yet to confirm the two-disc rumor, Rockstar has recently confirmed the file size for Red Dead Redemption 2. As expected, it’s quite big. The digital version for the PlayStation 4 will require an extra 49GB of space for the installation process. However, you can start preloading Red Dead Redemption 2 now if you bought it digitally. The lack of an official statement makes it unclear what exactly the alleged second disc could be for. It may be a separate install disc, a la Grand Theft Auto V or it could be something else completely. How do you feel about Red Dead Redemption 2 supposedly shipping with two discs? Did you go physical or digital? Let us know!